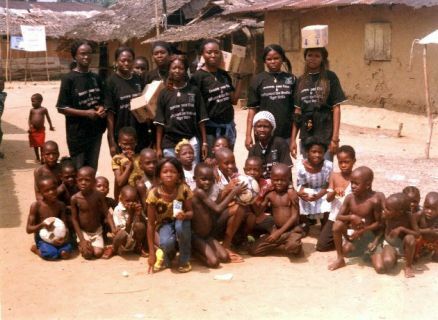 A photograph of NAIF members with children of Eniwari Southern Ijaw LGA Bayelsa State during de-worming program. 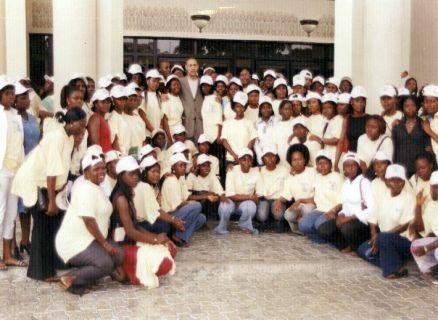 Ambassador Godknows Igali(Nigerian Ambassador to Sweden) addressing the students at NAIFS 2007 convention. 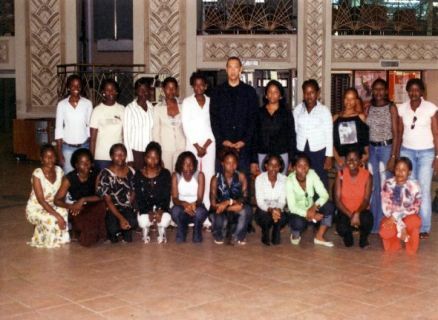 Ben Bruce scholarship For NAIFS member.The beneficiaries of year 2006 with the sponsor Mr. Ben Murry Bruce. 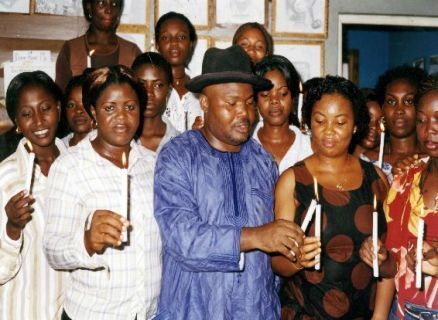 candle light for Isaac Boro, ken Saro-Wiwa and other fallen heroes of the Niger delta by IMG and NAIFS every 6 year. 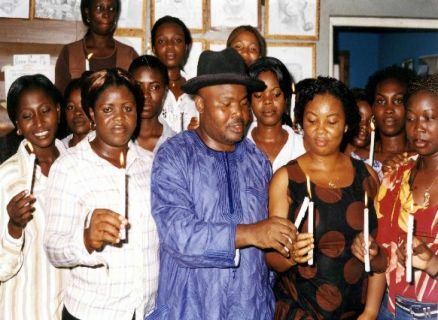 Comrade Evah and (NAIFS)members during Candle light procession for ken Saro-Wiwa and other fallen heroes of the Niger Delta. College of Education campus drama group performing during the reception for Miss Florence Kalio (VP SUG University of Port-Harcourt. 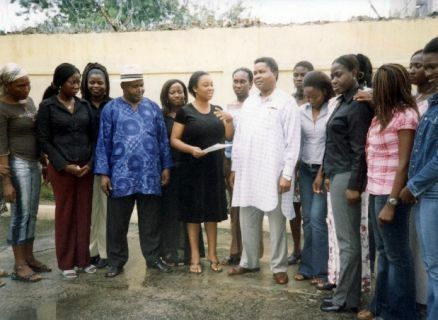 Comrade Evah address NAIFS 2007 EXCO with Miss. Florence kailo (New national President). 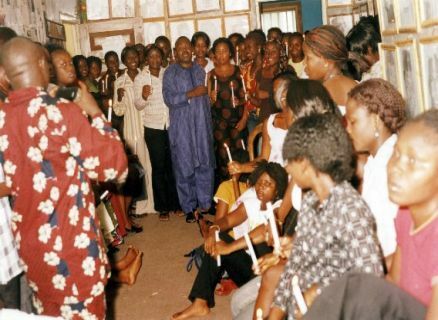 Comrade Evah at the University of Ibadan (National union of izon-ibe students program). 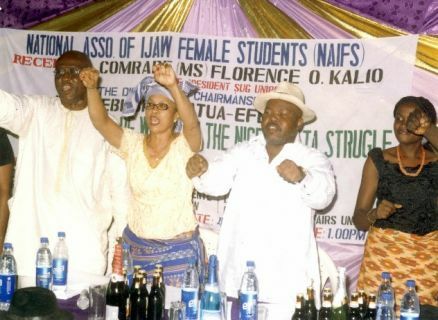 Comrade Evah dancing before the 2007 NAIF convention lecture series. 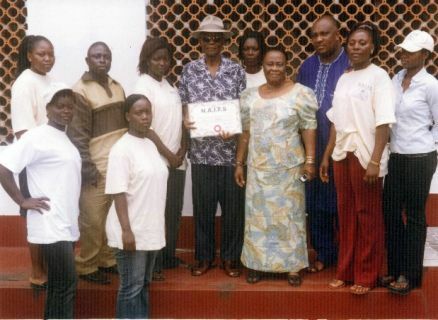 Comrade Evah present cash gift to the delta state school of Health Technology delegates to the 2007 NAIFS Convection as the most Colorful institution at the convention. 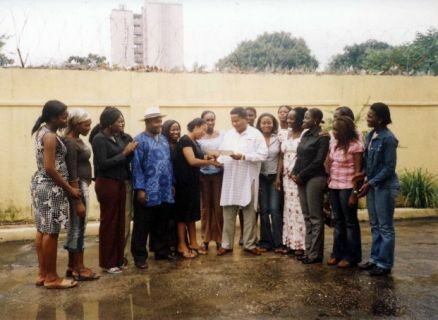 Comrade Evah presents cash gift to the Delta State school of Health Technology delegate. 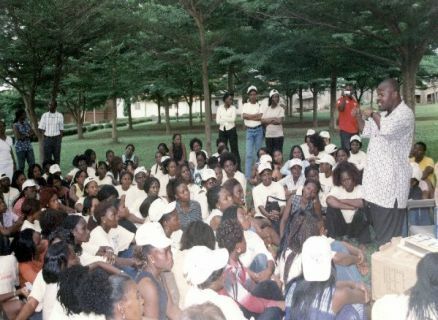 Comrade Evah stressing a point during the orientation program of NAIFS convention 2005. 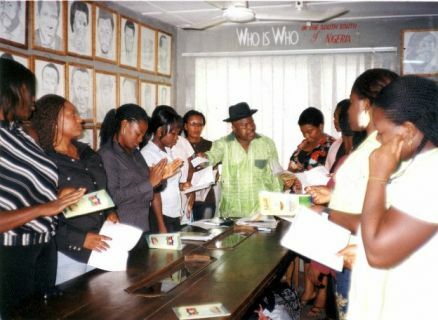 Comrade Evah swearing-in the employment committe of NAIFS at the Niger Delta hall of fame. 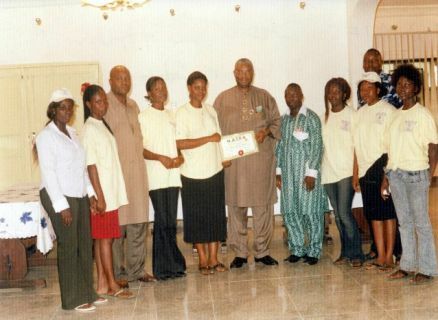 Comrade Evah with EXCO members of newly formed NAIFS alumni at the 2007 NAIFS convection in Lagos. 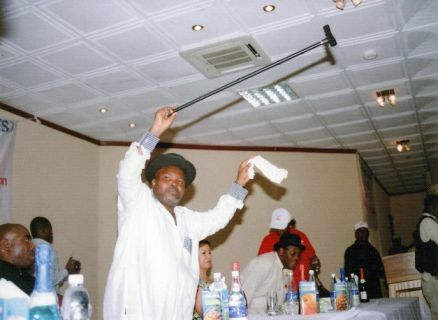 Comrade swearing-in the NAIFS employment committee in Lagos. 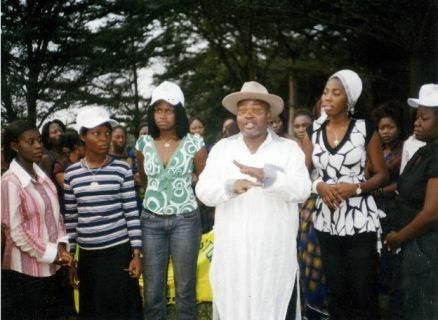 Comrade Timi Igoli secretary general Ijaw Monitoring Group leading NAIF members during 2006 Kick illetracy out of Niger Delta campaign. 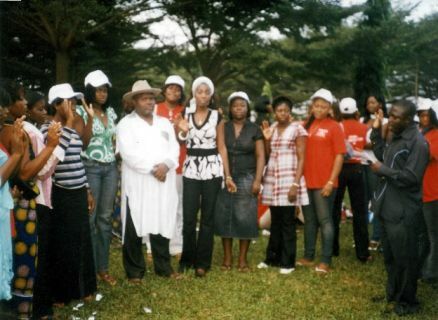 Comrade Timi Igoli Secetary general, IMG administrating the oath of office to the 2007-2009 EXCO of NAIFS. 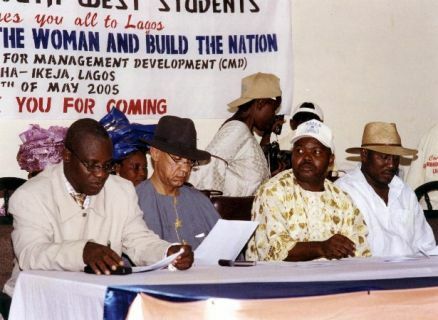 (L-R)Comrade Timi Igoli, Miss. 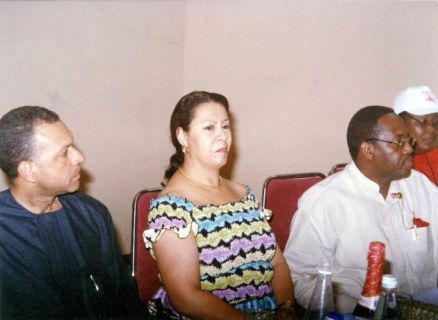 Florence kalio, Comrade Evah and Dr. Chris Ekiyor during the reception for Kalio. 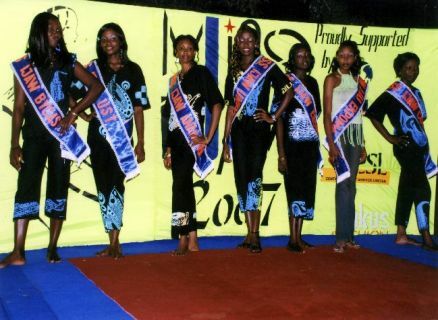 Cross section of Miss Ijaw 2007 contestants. 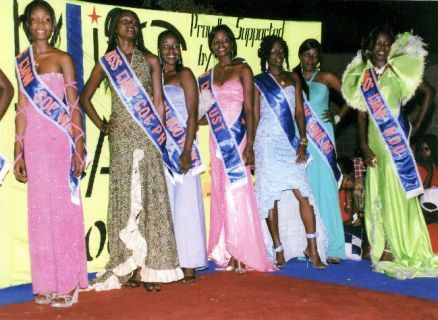 Cross section of Miss Ijaw Peagent lineup 2007. 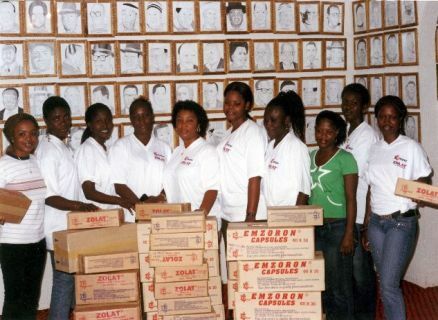 Cross section of NAIFS members and drugs in cartons meant for the de-worming of children in the creeks. 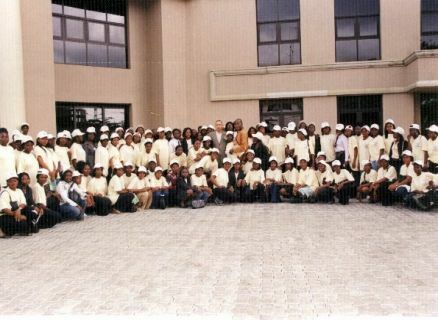 Cross section of NAIFS members at the 2005 convention in Lagos. 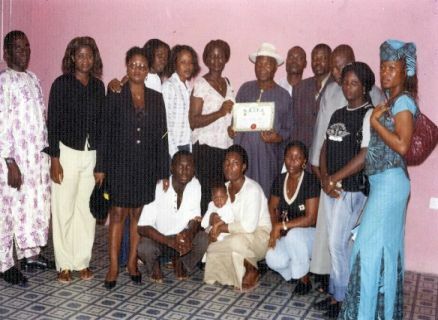 Cross section of NAIFS members with Ben Bruce after the 2005 convention. 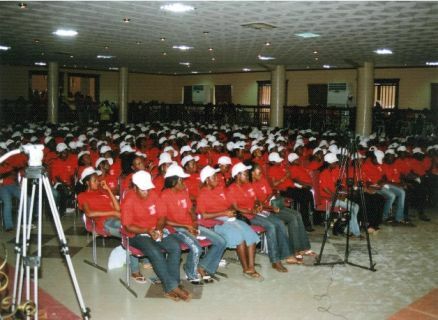 Cross section of members during 2007's convention. 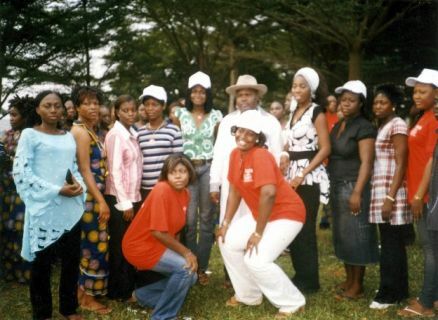 Cross section of Niger Delta University NDU students at 2007 NAIFS convention. 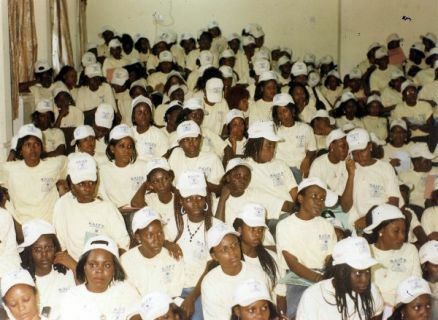 Cross section of the forty contestants at the Miss. 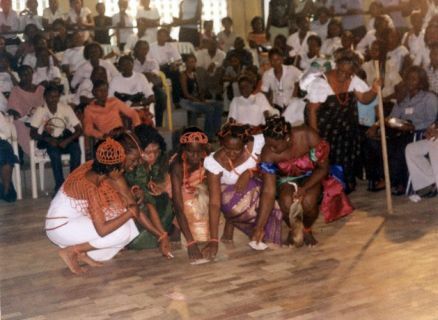 Ijaw pageant. 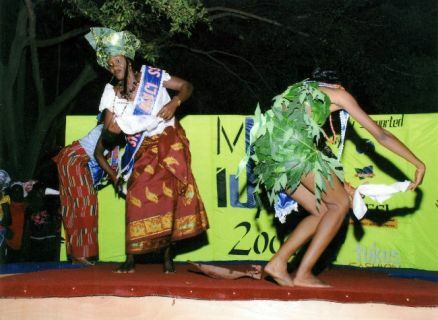 Cultural make-up during the NAIFS 2007 convention Miss Ijaw pageant. 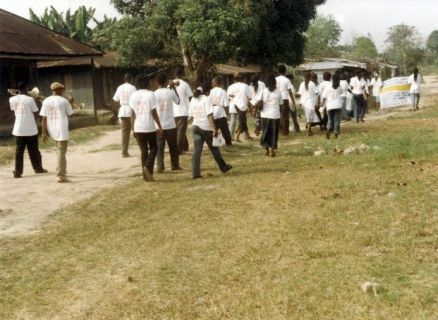 De-worming at korokerosci Southern Ijaw LGA Bayelsa State by NAIFS members. 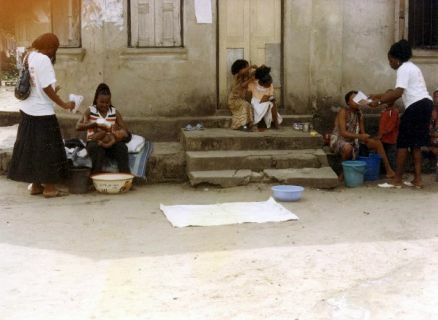 De-worming of Children in Niger Delta By NAIFS members yearly. 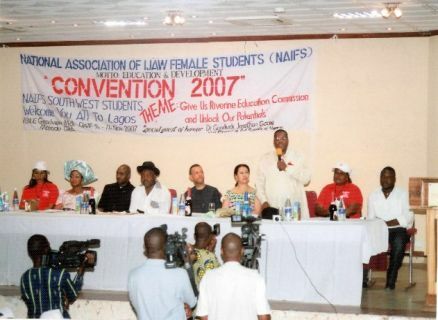 Dr. Boloere-Ketebu Nwakwafor Guest speaker at the 2005 NAIFS convention. 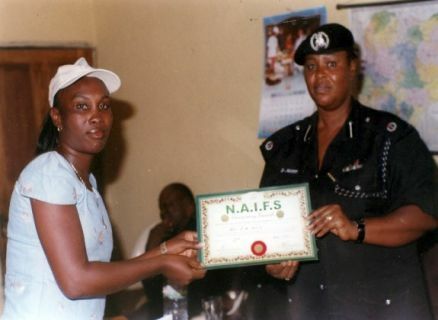 Executive members of NAIFS led by Its president Miss Emara James presenting an Award to Chief A.K Horsfal. 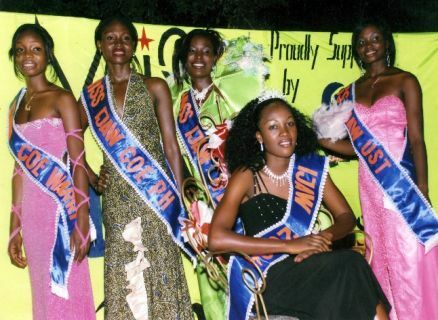 First runner up, Miss Ijaw, 2nd runner up and former Miss Ijaw 2006. 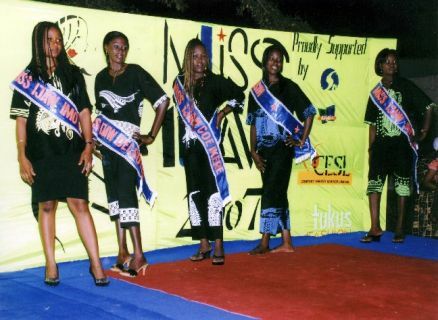 Judges at the Miss Ijaw 2007. 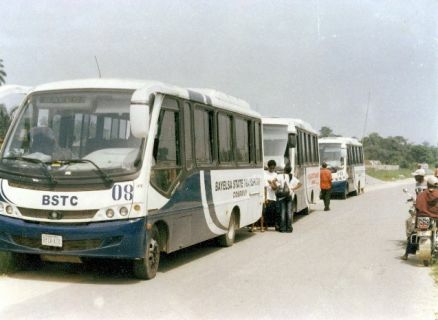 Lineup of some vehicles for the kick out illiteracy and HIV-AIDS from Niger Delta program of NAIFS 2005. 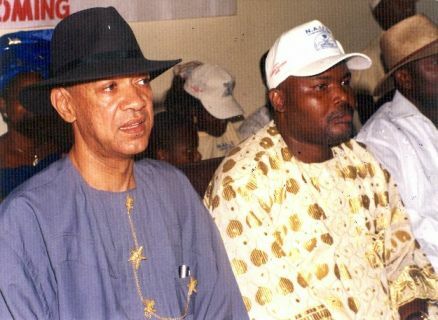 L-R Mr Ben Bruce(Group chairman silverbird) and Comrade Evah. 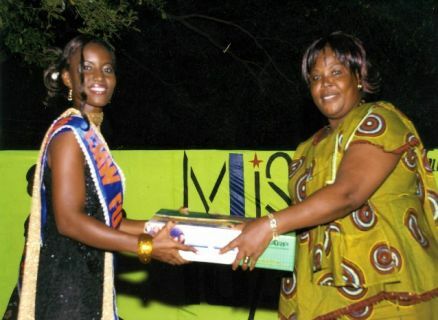 Miss Cynthia Pepple Miss. 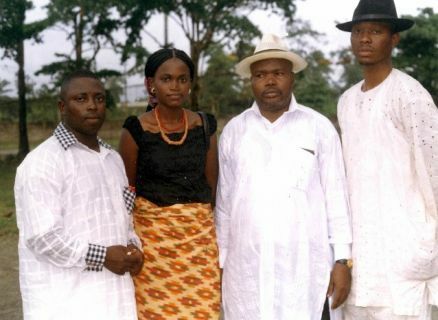 Ijaw 2007, Tina Agoro Nathaniel Miss. 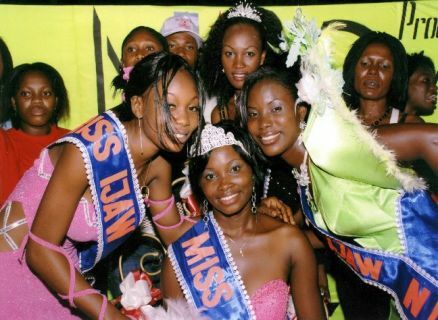 ijaw 2006 and other contestants before the commencement of the miss ijaw 2007 contest. NAIFS 2005 Award for Alabo Graham Douglas. 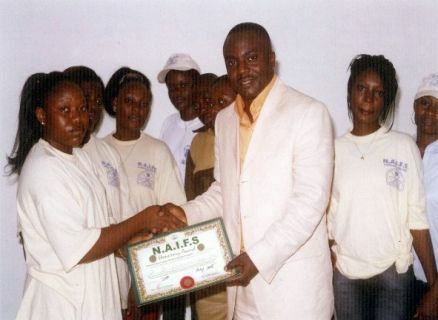 NAIFS 2005 Award for Barrister Inirus Willis. 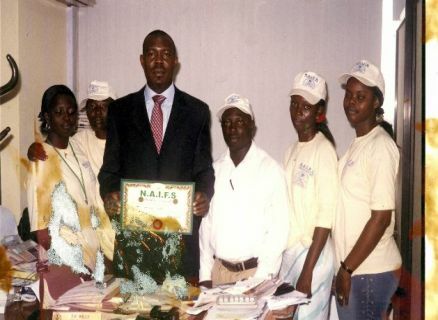 (L-R)Mr. & Mrs. Roy Bruce and DR. Igali during NAIFS 2007 convention. 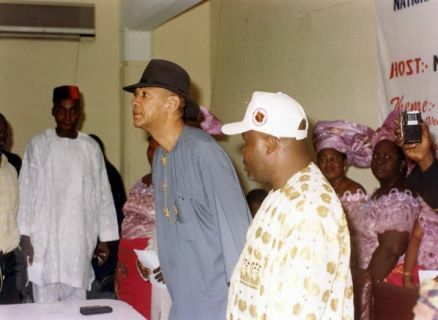 Mr Ben Bruce being introduced by Comrade Evah during the 2005 NAIFS convention in Lagos. 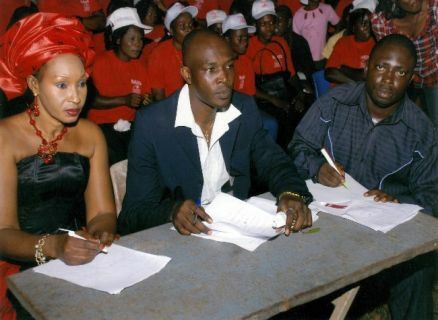 Mr. Tony Uranta, Miss Anne kio, Comrade Joseph Evah and Miss. 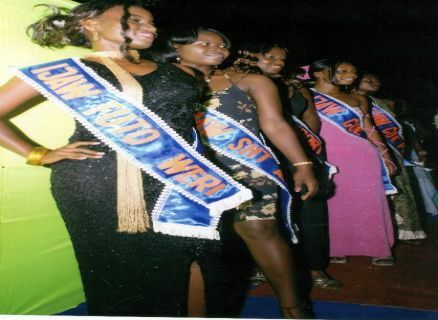 Florence during the reception for Miss Florence Kalio. 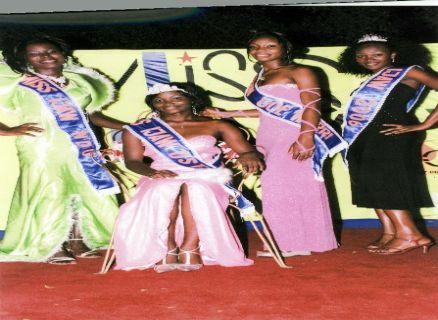 Mrs. Rose Samayin former Miss Nigeria 1976 acknowledging the new Miss Ijaw 2007 after receiving her crown. 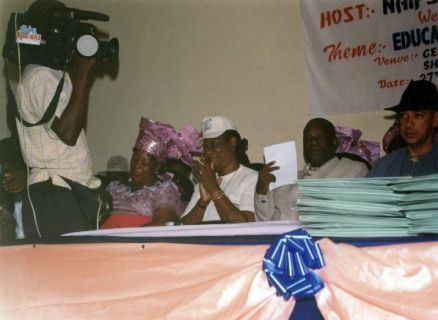 NAIFS 2005 convention Award for Mrs Felicia Orungha the first elected female local govt. 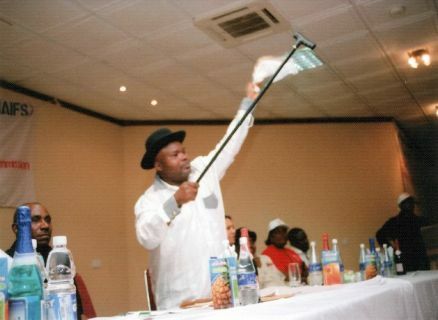 chairman in Ijaw land. NAIFS 2005 Executives after their election. 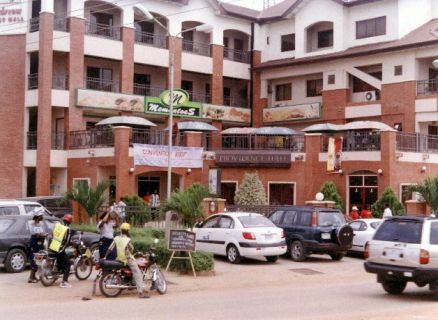 NAIFS 2007 lecture venue Lagos. 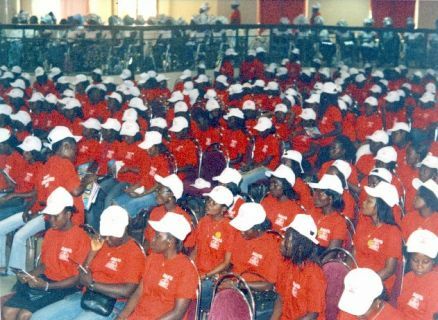 NAIFS Alumni during the inauguration at the 2007 convention. 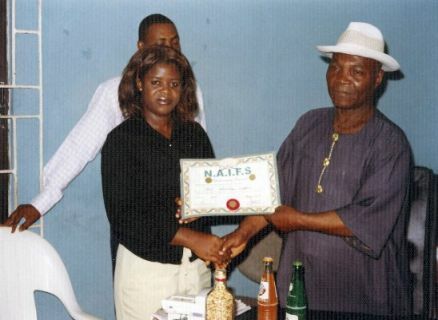 NAIFS award for Asu Ekiye in 2005. 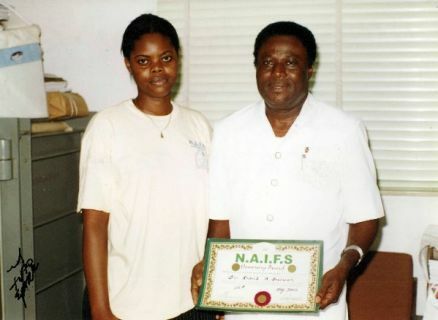 NAIFS Award for Prof. Alagoa during NAIFS week 2005. 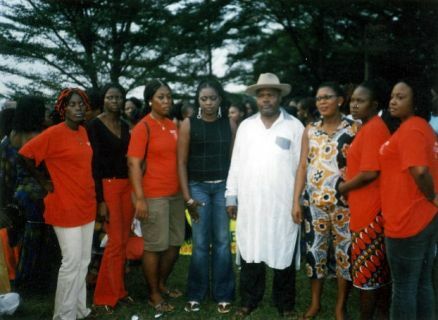 Niger Delta leaders during 2005 NAIFS Convention. 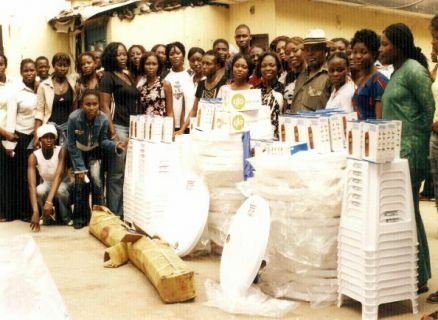 NAIFS GSM Business tools for Empowerment Donated by the Grand Patron Comrade Joseph Evah. 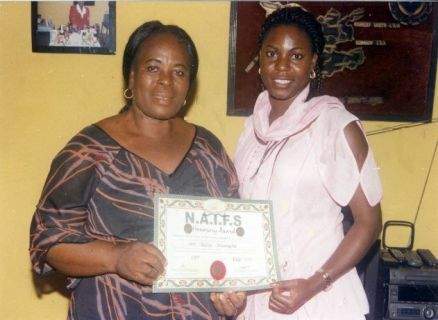 NAIFS members educating young mothers to return to school. 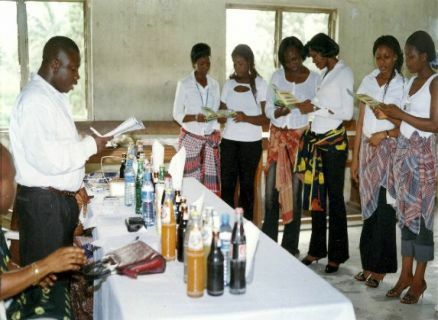 NAIFS members helping parents to de-worm their babies in Niger Delta. 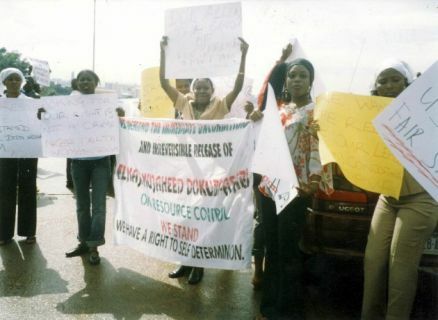 NAIFS members in Abuja protesting trial of Asari Dokubo. 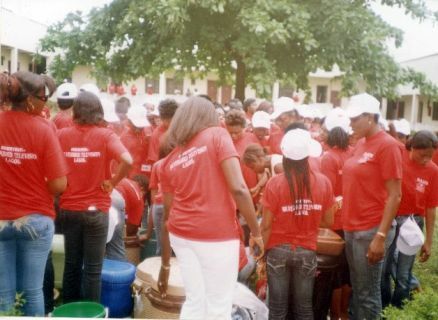 NAIFS members off-loading drugs for de-worming programme. 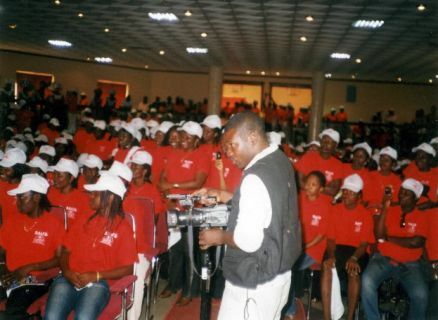 NAIFS members preaching against prostitution and HIV-AIDS 20. 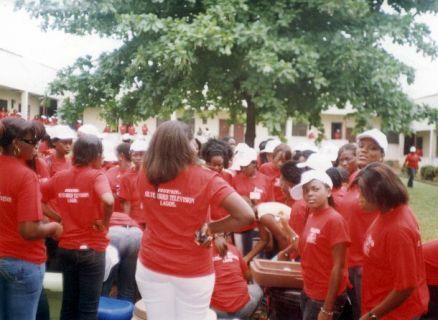 NAIFS members preaching to a girl during the kick out illiteracy and HIV AIDS campaign in Niger Delta. 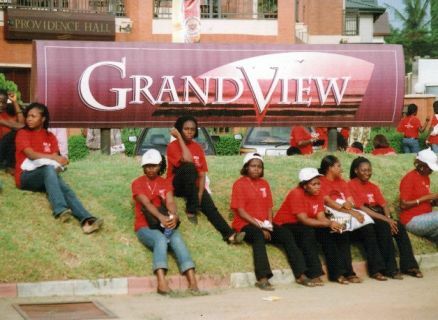 NAIFS members preparing for breakfast during the 2007 NAIF convention in Lagos. 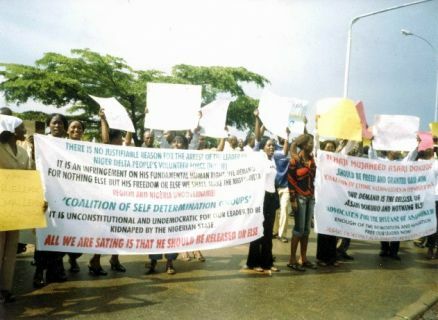 NAIFS members protesting Dokubo-Asari trail In Abuja. NAIFS members relaxing and waiting for the take off of the 2007 NAIFS convention lecture. 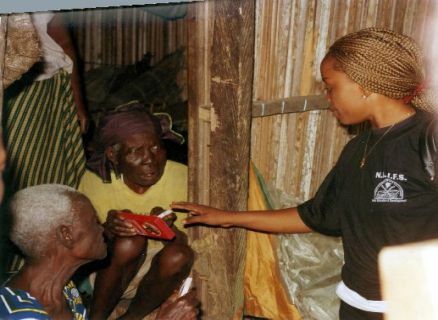 NAIFS members supporting the elderly in the creeks with drugs and other medical assistance. 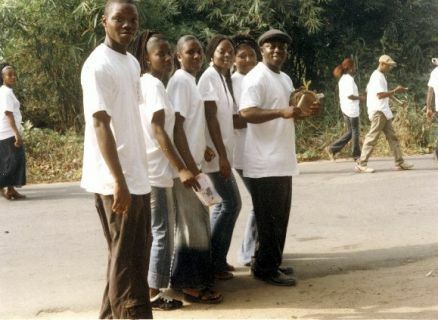 NAIFS members moving into one of the communities to carryout the kick out illiteracy campaign in Niger Delta. 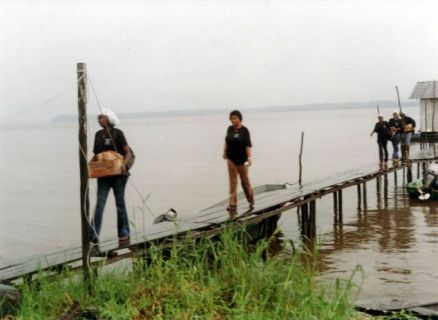 NAIFS presenting Award to chief Saturday Erebene, the first Ijaw to drag oil companies to court to get Tanament rate payment for the Ijaw nation. NAIFS 2005 award for Chief A.K Horsfall. 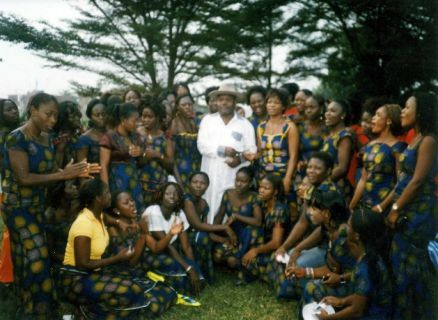 President, Ijaw women leadership Forum Presenting a gift. The yearly candle light procession for Ken. 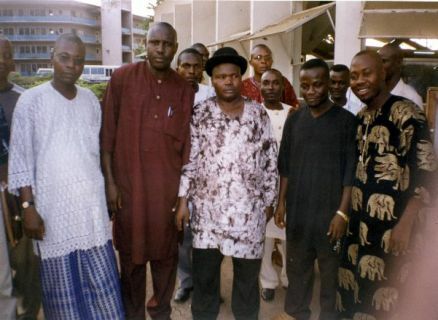 Saro Wiwa and other Niger Delta fallen heroes by IMG and NAIFS. Time for casual wear display at the Miss. 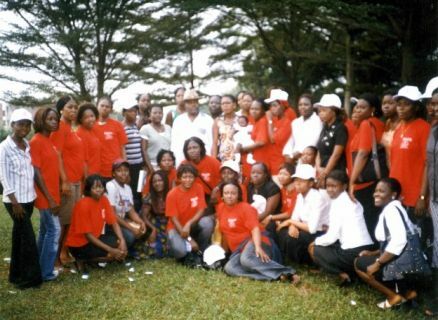 Ijaw 2007. 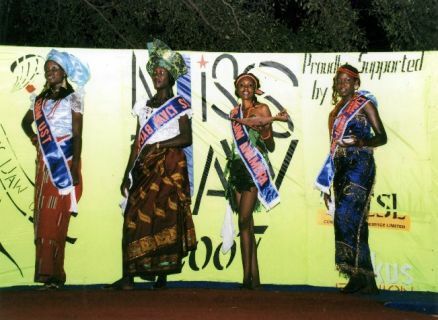 Display of traditional Attires at the Miss. 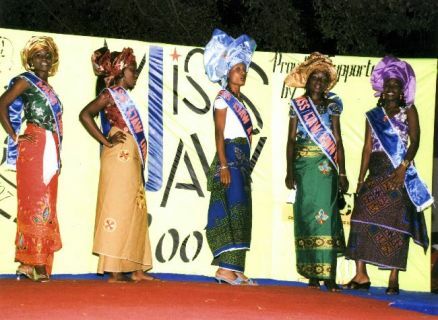 Ijaw 2007 contest. 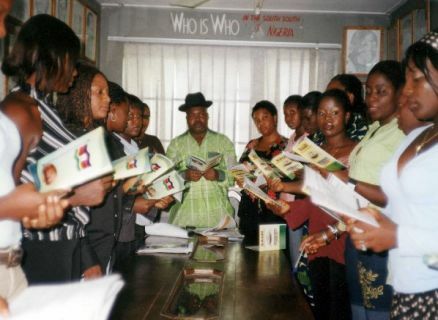 UNICAL Exco members taking oath of office before Timi Igoli (SG of IMG).